Founded in 2001, the annual Young Performers Project is celebrating its 16th Anniversary. In 2017, the Young Performers Project NPC will revive its massively successful production of Footloose which is set to run at the Elizabeth Sneddon Theatre from September 7 to 17. 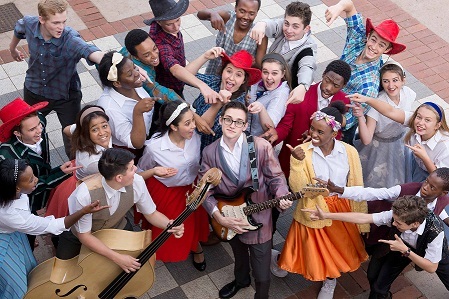 This annual development project is open to all high school learners wanting to gain exposure to a major musical theatre production staged by a professional team. These learners are trained to sing, dance, and act by industry professionals, with the aim of putting on a fully-staged musical theatre production. Working under the supervision of theatre luminary Themi Venturas, the professional team engaged by The Young Performers Project NPC, will be Daisy Spencer (director), Des Govender (vocal coach), Jarryd Watson (choreographer) and Dawn Selby (musical director). A hugely popular musical, Footloose is based on the 1984 film of the same name starring Kevin Bacon. Auditions for this year’s programme, which are open to all who learners who are still in high school, will take place at Durban North Baptist Church on June 17, 2017, from 11h30 (registration from 10h00). All those wishing to audition must be available for the whole day and must prepare a song to display their singing ability. They will also be required to do dancing and acting auditions for which no preparation is necessary. There are traditionally 23 roles available but this could change relative to the quality and number of young musical theatre performers that turn up and do well in the auditions. Rehearsals will be held at the Durban North Baptist Church from June 23 to July 2 (vocal only); then July 17 to 22 (Monday to Saturday) followed by weekends from July 29 to September 3 with the final dress rehearsal on September 6. The production runs at the Elizabeth Sneddon Theatre from September 7 to 17, 2017.